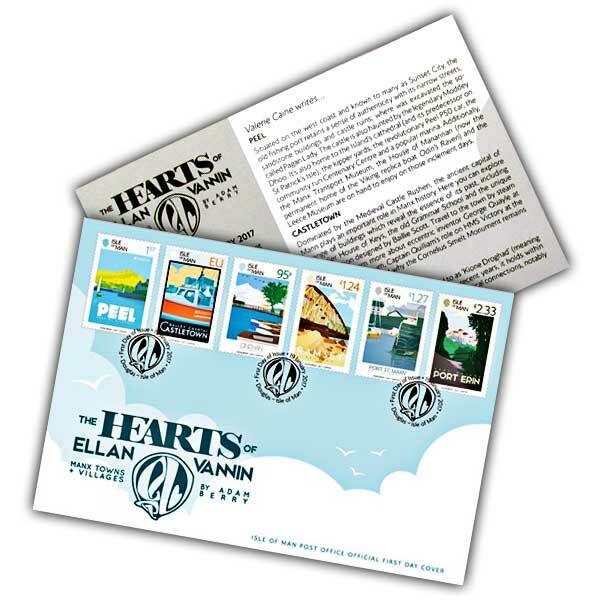 This complete set of The Hearts of Ellan Vannin stamps are displayed beautifully on this quality envelope with an unique postmark for the date of issue. 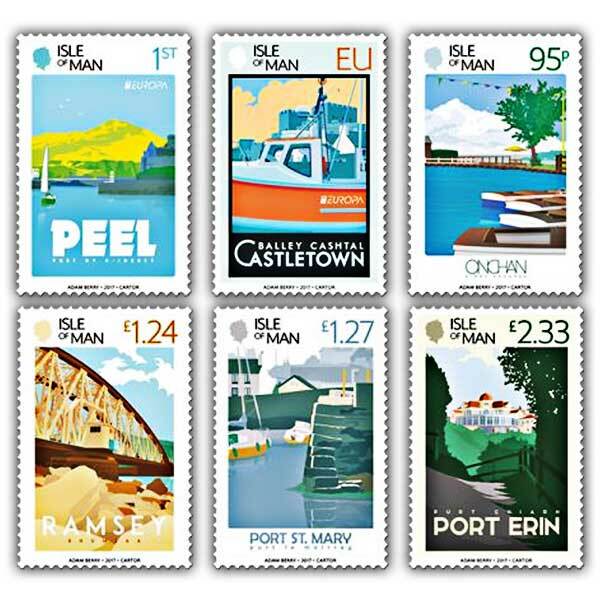 Inside the envelope is a filler card which has informative info about the 6 towns included on these beautiful stamps. Another very interesting cover from Isle of Man. My order was posted promptly.